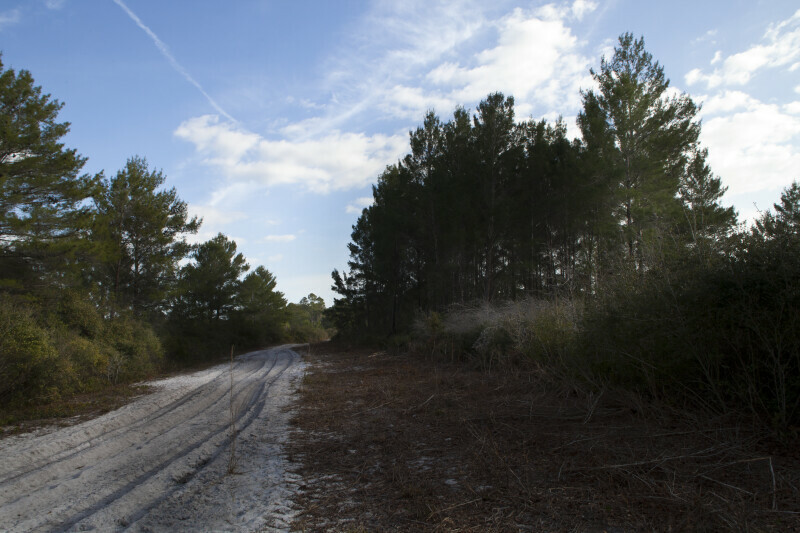 A firebreak running through pine trees and shrubs at the Cedar Key Scrub State Reserve. The firebreak acts as a barrier to slow wildfires. WARNING: You are about to download a 27.5 MB TIFF!